With over 80 years of combined experience, the ESI Security Services assessment team can help you with your security planning so you can focus on other important aspects of your business. The ESI Security Services assessment team can look at the many aspects of your property and create a cohesive strategy for ensuring the safety and peace of mind for all involved. We plan through many tried and true methods and will work with you to form a security plan based on our experience and your needs. Our ESI consultants will meet with you at your location to discuss your concerns and assess the location. They will perform a risk assessment by looking for areas that offer potential to offenders and trespassers. They will conduct a property evaluation and determine how best to secure it. 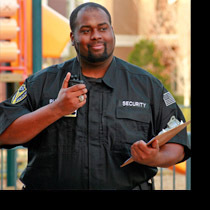 Your consultant will interview and place the proper security personnel at your property and work with local law enforcement to provide your property with the best and safest services possible.